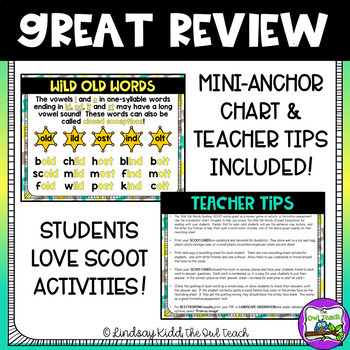 This is the perfect activity to get your students engaged and reviewing spelling patterns for the closed exception word patterns knows as Wild Old Words (-ind, -ild, -old, -ost, -olt). 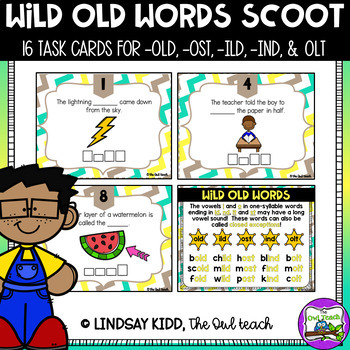 This set of task cards is designed as a SCOOT activity, which will have your students moving throughout the room and spelling words which include the long vowel, closed syllable patterns of -ild, -ind, -old, -old, and -ost. 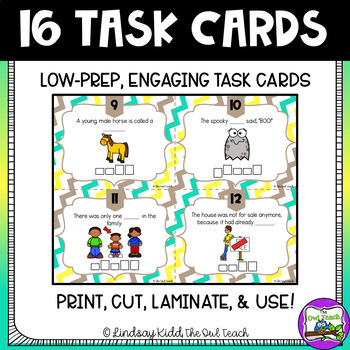 These closed exception task cards compliment orton-gillingham instruction! This makes the perfect formative assessment!